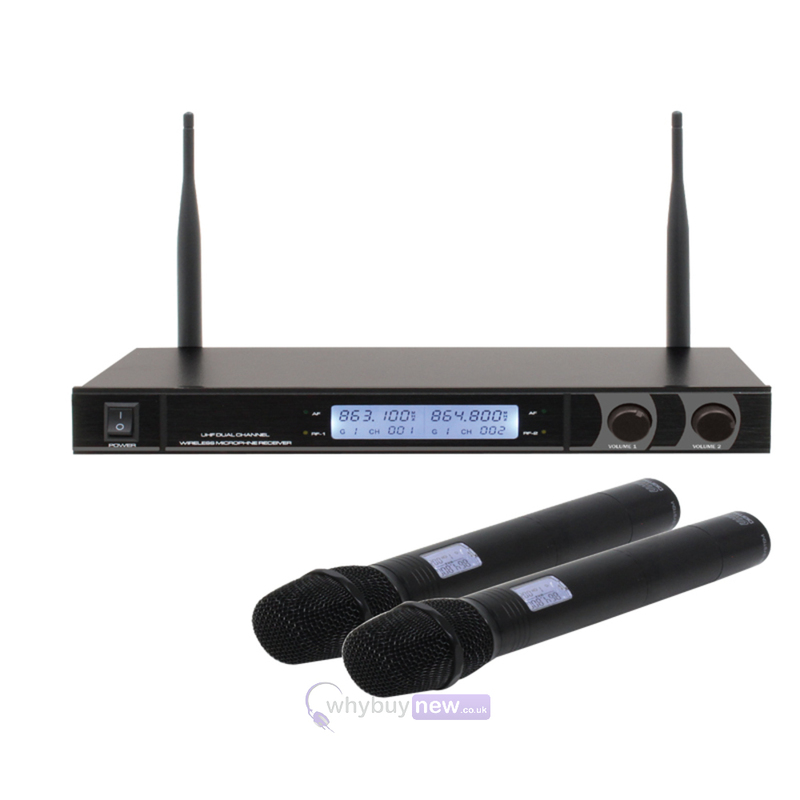 The W Audio RM 30T Twin UHF Handheld Radio Microphone System (863.1Mhz/864.8Mhz) is a compact and robust wireless handheld mic system designed for live audio performances, mobile DJs and karaoke use. 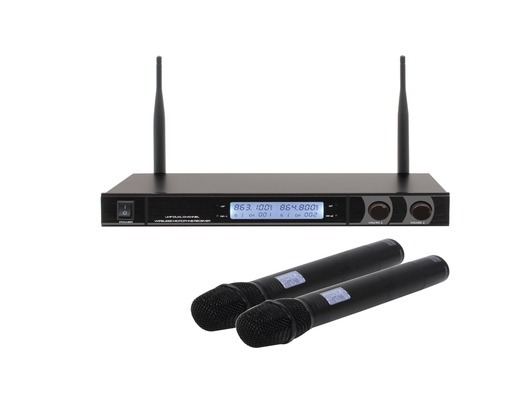 The system comprises twin UHF handheld radio microphone transmitters and a robust metal receiver with a dual antenna. Each mic requires 2 x 1.5V AA batteries. It comes supplied in a foam lined carry case for easy transportation. Its compact and robust design allows the system to withstand the stresses of the road making it perfect for entertainers and amateurs alike. The hand held systems flexibility can be further enhanced by the addition of the RM 30 Belt Pack Kit. Here we have the W Audio RM 30T Twin UHF Handheld Radio Microphone System in new and manufacturer refurbished which will come boxed 'as new' with a 1-year warranty. Buy this amazing system with confidence with 100% satisfaction guaranteed or your money back!